Dog Biscuits/Treats from Spent Grain (Beer Brewing) | Kodiak Brewing: Beer, Wine, Cider, Mead Blog. You can now buy these from us – this is our way or raising cash to fund our operation/blog, since we can’t sell you beer. 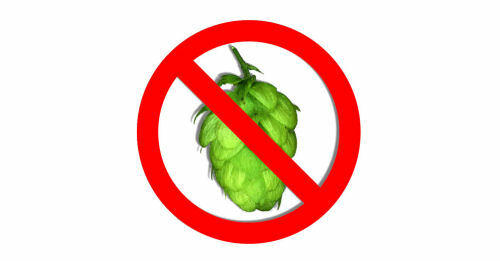 HOPS ARE POISONOUS TO DOGS – if you add hops to the Mash, you can’t use the grain to make dog biscuits. Tip – Most brewers will be too busy brewing the beer so collect a bunch of spent grain after the mash is over, (drain it of the wort) if you don’t want it to be too wet and stick it into the fridge for later, it should be good for a solid week or more. This way you can make the biscuits a few days later after your brew day when you are not so busy or too tired. After a few tries using recipes from a Google I decided to make my recipe and combine my experience of bread baking, I list two recipes..
One of the things that I noticed from the Google recipes is that most of them used only 2 cups of spent-grain, that’s little grain. We all know we have “a lot!” more than 2 cups left after a brew. In a mixer: grain + flour + broth + egg.. mix it well, you can easily control how sticky it will be by adding chicken broth slowly or less of it, Add 1/2 packet of bread yeast with the broth (pre-heated), roll into a ball and let it sit under a towel for at least an 1 hour to raise.. Roll it out and use cookie cutters to take shape of your biscuits..
Preheat to 350F // bake for 30 ~ 45 minutes… Since you added yeast, these cookies will be nice and poofy. After baking, lower temp to 200 ~ 220F and bake them for a few hours (2) to dry them out so that mold don’t take hold later (this largely depends on how thick your cookies are), thicker need longer drying time… We also use grocery paper bags for a week+ to remove any residual moisture, works well. If your mix is sticky, just keep on adding flour until it’s not, use lots of flour on your work area so that the cookies won’t stick… If things seem too sticky, don’t give up, add more flour – no matter how crazy it looks! Also you have an option of using less broth, since that is what made them sticky. I ended up with 3 sheets of cookies, use foil if you run out of cookie sheets :- ) pre-spray with cooking oil.. If you make your cookies thin, they don’t require as much extra drying time or next to none, don’t assume anything // check and look to make sure you are not overheating and burning them! This recipe does not use bread yeast, is simpler and faster to prepare/make and it should not be sticky at all, also you do everything in the mixing bowl, so there is little to clean up later. 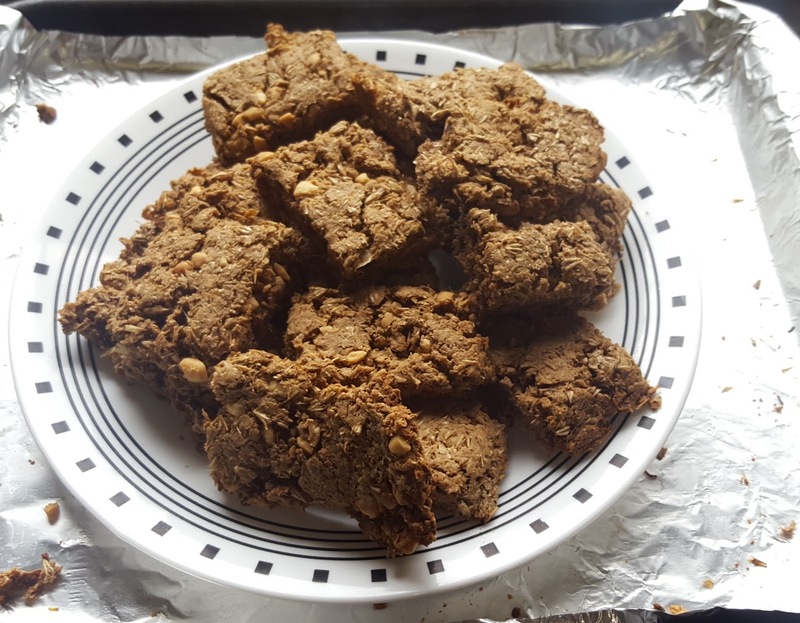 If you are short on time go with this one and dogs love peanut butter cookies as well! mix this all up, pre-heat your oven to 350 F and stick it in there for 30 minutes, then reduce heat to 220F and leave it in there for 2 hours. Again, spray your pan so they won’t stick. This entry was posted in BEER Recipes and tagged dog biscuits from spent grain. Bookmark the permalink.